Alderley Park is a world-class Life Science research and development & facility. The site currently houses around 190,000 sq m of premier scientific laboratory space, offices, restaurants, cafes, conferencing space and energy plant, set in 400 acres of parkland. Set within 400 acres, of Cheshire countryside, Alderley Park is a world-class life science research and development facility. It is one of the few facilities in the country with a comprehensive offering to support drug discovery and development and has a strong history of success. 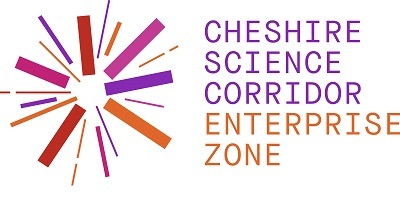 The site currently offers around 190,000 sq m of premier scientific laboratory space, offices, restaurants, cafes, leisure facilities, conferencing space and is home to a cluster of over 150 businesses and a talent pool of approximately 3000 experienced staff. Already home to more than 165 organisations employing 6,000 people, Birchwood Park is Warrington’s leading business park. Every Birchwood Park customer should feel a valued member of the business community whether you reside in 100 sq ft or 500,000 sq ft of space. Birchwood Park can accommodate almost every kind of business. At 22,000 square foot this self-contained building offers a unique floor plate within the market. The M62 provides direct access to Manchester and Liverpool. Manchester and Liverpool International Airports are within a 30 minute drive. Warrington Bank Quay Railway Station provides mainline services to London and Edinburgh whilst the nearby Birchwood Railway Station offers excellent local connections. Unit 1 Kelvin Close comprises a two storey office building of steel framed construction with brick elevations under a flat roof. The building totals 42,566 sq.ft. of which 5,200 sq.ft. comprises a spacious break out area. The site, which extends approximately 2.97 acres (1.2 hectares) excluding the soft landscaping, provides 225 car parking spaces. Protos is the destination of choice for energy, innovation and industry. Strategically located amongst some of the North of England’s biggest industrial forces, Protos offers the chance to bring ideas to life in a thriving environment. At 51ha (126acres), PROTOS has full outline consent and part detailed planning consent for energy production, as well as general manufacturing and distribution uses (B1, B2 & B8).